A study published in The Lancet called INTERSTROKE confirmed that people can reduce their risk of having a stroke by making lifestyle changes. The study found that modifiable risk factors are responsible for 88 percent of stroke risk. The excellent news here is the "modifiable" part of the equation — most of these factors can be completely avoided, or at least modified. That's great, you say until you look at the list. Most of us know that stopping smoking and losing weight are no-brainers for improving your health, and many of us would have done these things years ago if we knew how to go about it strategically. Learning how important lifestyle changes are for reducing stroke risk can be motivational. Major health improvements can be made if the goals are specific, measurable, attainable, realistic and time-based, also known as S.M.A.R.T. goals for lifestyle change. 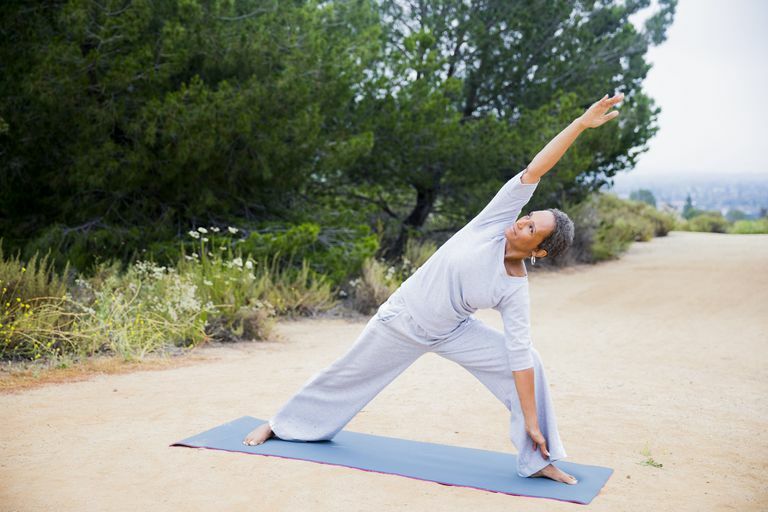 Here are the top 10 ways to cut your risk of stroke by almost 90 percent. While there are medications to control hypertension (high blood pressure), lifestyle change is a key component of keeping blood pressure down. Following the DASH Diet and avoiding salt can help. Smoking not only increases the risk of stroke, it is estimated to subtract 10 years from one's lifespan. Getting tips, strategies, stories, and encouragement from people who have successfully quit smoking can be inspirational. And if that doesn't help, consider how smoking results in premature aging. You might be surprised at how easy it is to incorporate easy weight loss methods into your life. Not only can you find yourself dropping pounds, but by slowing down and being more mindful of your food, you may also find yourself enjoying meals much more. People with diabetes are at a higher risk of stroke than the general population. This risk is much higher when the diabetes is poorly-managed and blood glucose levels are elevated over long periods. It is important to take your diabetes seriously (even if you don't feel "bad" from high blood sugar), which involves sticking to your treatment strategies, among other things. This will not only go a long way in reducing your risk of stroke but also will help bring down the likelihood of other complications. We know we should be exercising, but many of us simply don't like it and when you don't like to do something, it is very easy to find lots of excuses not to do it. Instead of starting from a place of trying to do something you simply hate to do, why don't you wipe the slate clean and look at exercise from a new perspective? Learn to like, even love, exercise, and it will be much easier to commit to an exercise habit. There are many opinions about what exactly constitutes a healthy diet, which often leaves the average person confused to the point that they give up. However, there are some things that are pretty universal here — more vegetables, less trans fats, fewer trips through fast food restaurants. Add fruit to increase your longevity and adopt an overall longevity diet plan. Clearly, drinking heavily is bad for your health, but much research shows that two or fewer drinks per day can be good for you, especially red wine. Any more than that starts working against you and harming your health. Heavy drinking also increases stroke risk by 45 percent and there is a link between alcohol and brain aging. The idea here is to improve your HDL (good cholesterol) to LDL (bad cholesterol) ratio more HDL and less LDL is the idea. The goal is to have your HDL/LDL ratio above 0.3, with the ideal being above 0.4. Of course, there are medications, such as statins, that can help you do this, but there are some lifestyle changes to be made as well, even fun ones, such as eating more dark chocolate or fish. As we age, our hearts have to adapt to our changing bodies our arteries lose flexibility, our heart walls thicken and it becomes harder for our hearts to keep up with increased demand. All of these things (and others) are made worse when we have heart disease, such as coronary artery disease, angina or other problems that can lead to heart attacks. There are several approaches to managing heart disease, which involves medications, diet, and exercise many of the same things that will also reduce the risk of stroke. We know that we feel worse when we are "stressed," but there is also significant evidence that stress impacts the frequency of negative health events, like a stroke. Depression also has serious physical consequences and can lead to victims neglecting their health. By taking steps to improve in these areas, you will no doubt feel better along the way. In addition to reducing your risk for stroke, you will also reduce your risk of heart attacks.